From warm pita and hummus to grilled chicken gyros smothered in tzatziki, there’s no other cuisine I crave more than Greek. It’s a serious obsession. I long for the one weekend a year that I can go to the Yiasou Greek Festival and eat my weight in baklava sundaes. The rest of the year, you’ll find me frequenting all the spots below. Here are the 6 best Greek restaurants in (and around) the Queen City. And one to watch. No-frills, family-owned spot. It’s been a South End staple for over 25 years. Cost: $. A gyro (lamb and beef) pita with fries will run you $8.95 and a greek salad with grilled chicken is $10.95. Locations and hours: 5011 South Blvd. Sunday-Thursday 10am-9pm. Friday and Saturday 10am-9:30pm. 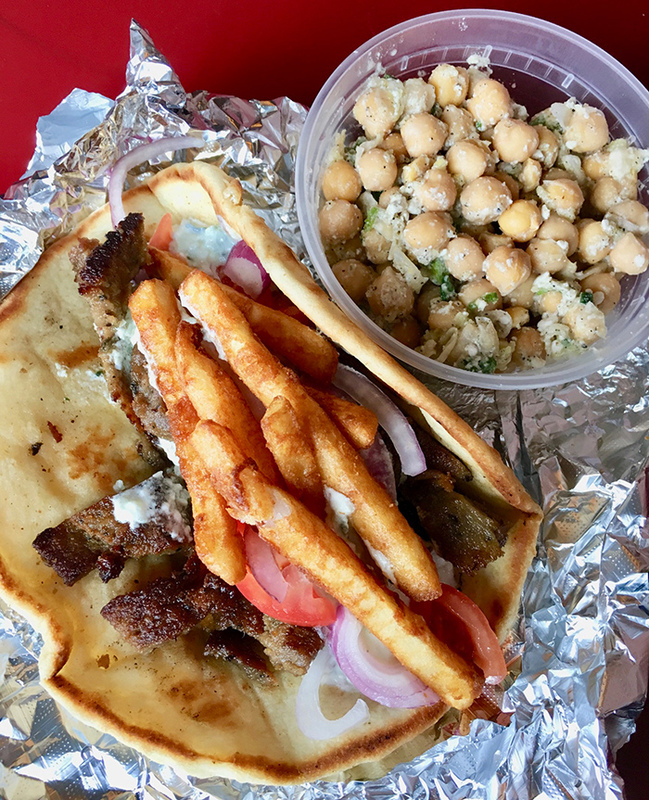 Charlotte-based, fast casual Greek food chain that’s expanding fast. Must order: My go-to here is the greek salad pita ($5.95) with a side of spicy fries ($2.95) and tzatziki. Or you can opt for the grilled chicken or lamb gyro ($6.95). Cost: $. Almost everything on the menu is under $10. Best for: Fries. No lie, my favorite fries in the whole city. You can choose between lemon oregano, cumin & garlic powder, spicy or plain salted. Locations and hours: Blakeney – 9820 Rea Rd. Ste. E, Colony Place – 7731 Colony Road Ste. F3, Wesley Chapel – 400 Monroe-Weddington Rd Ste. G. Monday-Sunday 11am-9pm. Upscale Greek kitchen in Belmont serving a mix of traditional and modernized dishes. Must order: Start with the Htapodi sta Karvouna – chargrilled Spanish octopus, lemon vinegrette, oregano ($14). Then, go with the Mousaka – ragout, zucchini, potato, eggplant, béchamel ($15). Cost: $$$. It’s the priciest restaurant on the list but entrees have a pretty wide range from $15-$45. Best for: High-end Greek food. Love the rustic, modern interior and every plate is beautiful. Locations and hours: Belmont – 609 N. Main St. Monday-Thursday 11am-9pm. Friday and Saturday 11am-10pm. Sunday 10am-2:30pm. 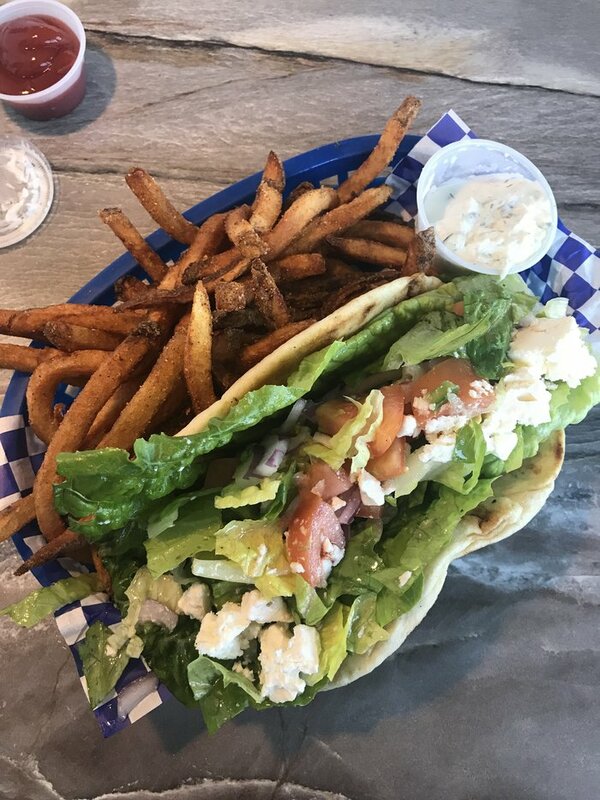 No-fuss, Uptown eatery voted having the ‘best gyros in Charlotte’ by Creative Loafing. Must order: The lamb and beef gyro – tzatziki sauce, tomato, onion and topped off with a few fries. Yep, you read that right. And it’s only $5.25. Cost: $. Most things on the menu will run you $5-6. This is by far the most affordable spot on the list. Best for: Cheap gyros. I mean, they are topped with fries for god sake. Locations and hours: Uptown – 710 W Trade Street, Ste G. Monday-Saturday 11am-9pm. Cost: $$. They have a huge menu with a wide range of prices. Appetizers can run anywhere from $4 to $14 while entrees run from $12.50-$34. Best for: Casual date night. Make reservations ahead of time to avoid a wait. Locations and hours: Rea Village –1508 Providence Road, Quail Corners – 8426 Park Road. Monday-Wednesday 11am-10pm. Thursday 11am-11pm. Friday and Saturday 11am-12pm. Sunday 11am-9pm. 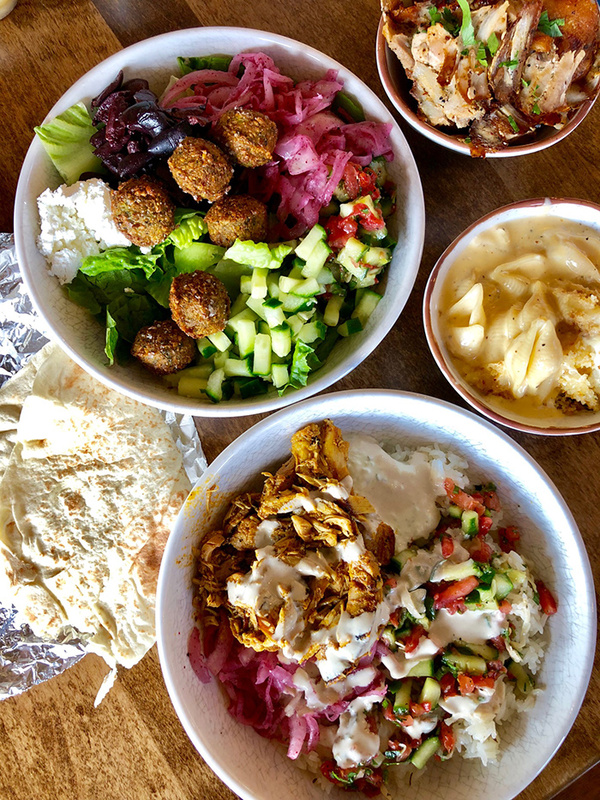 Fast-casual eatery serving up a variety of mediterranean fare. Think Greek and Middle-Eastern. Must order: Greek bowl – romaine lettuce, feta cheese, cucumber + tomato salad, kalamata olives, sumac onion, lemon herb vinaigrette ($8.99). And a side of Greek Yogurt Mac’n Cheese. Cost: $. I’d expect to spent somewhere between $10-$15. Best for: Fusion Greek. This place isn’t technically a Greek-only place but you certainly get a taste of it. Plus, I think they have the best hummus of anywhere. Locations and hours: SouthPark – 720 Gov Morrison St., Plaza Midwood – 1331 Central Ave Suite 101, Dilworth – 1231A East Blvd. Sunday-Thursday 11am-9pm. Friday and Saturday 11am-10pm. Family-owned eatery with a mix of Greek and Lebanese cuisine. Must order: Marinated chicken gyro – pita bread, lettuce, tomatoes, feta and tzatziki ($5.99). End the meal with a flaky, decadent piece of Baklava ($1.75). Cost: $. Super reasonable prices. Best for: They have, hands down, the best grilled chicken gyro I’ve ever had in Charlotte. Locations and hours: Ballantyne – 3419 Toringdon Way, Ste A-124. Monday-Saturday 11am-9pm. Closed Sunday. Now under construction at 1514 S. Church Street, Ilios Crafted Greek is the fast-casual sister restaurant to Ilios Noche. Expect authentic flavors, spit rotisserie meats and many of your favorite Ilios entrees, like their signature spinach pie. The 2,000 square foot space is just down the road from Wooden Robot Brewery. This is a much needed addition to this area of town. Bring on the Greek. 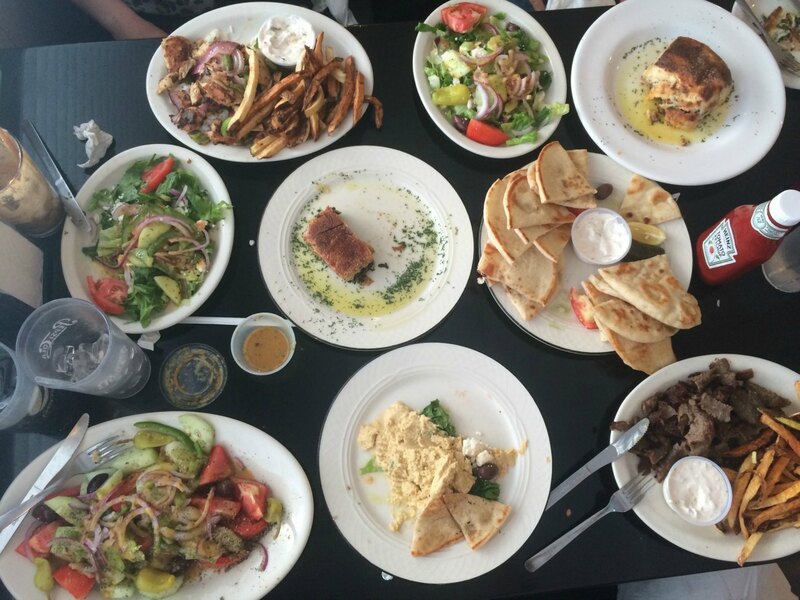 What’s your favorite Greek restaurant in Charlotte? 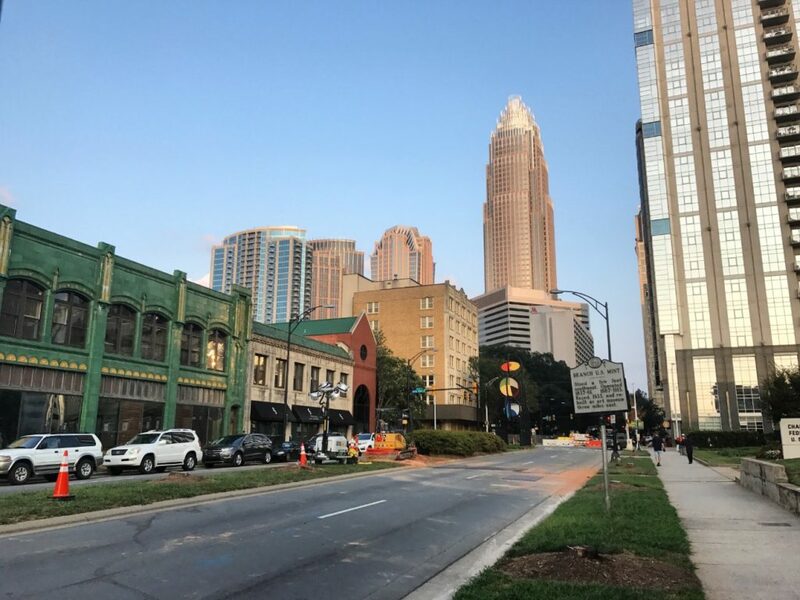 Tell us at hi@charlotteagenda.com.